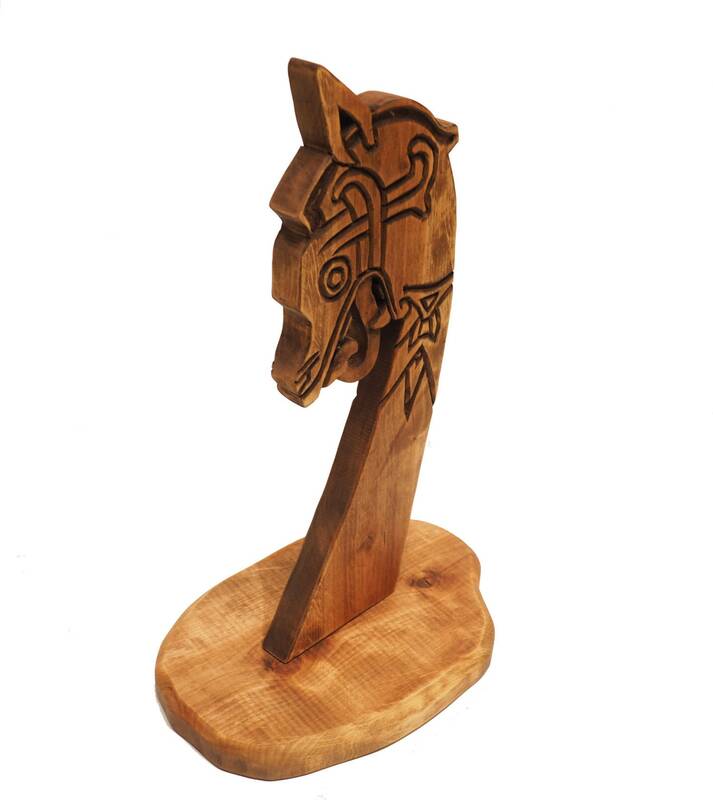 This heads is inspired by the the bed head excavated from the Oseberg ship (first half of 9th century) and it was originally on the bed with was found there. 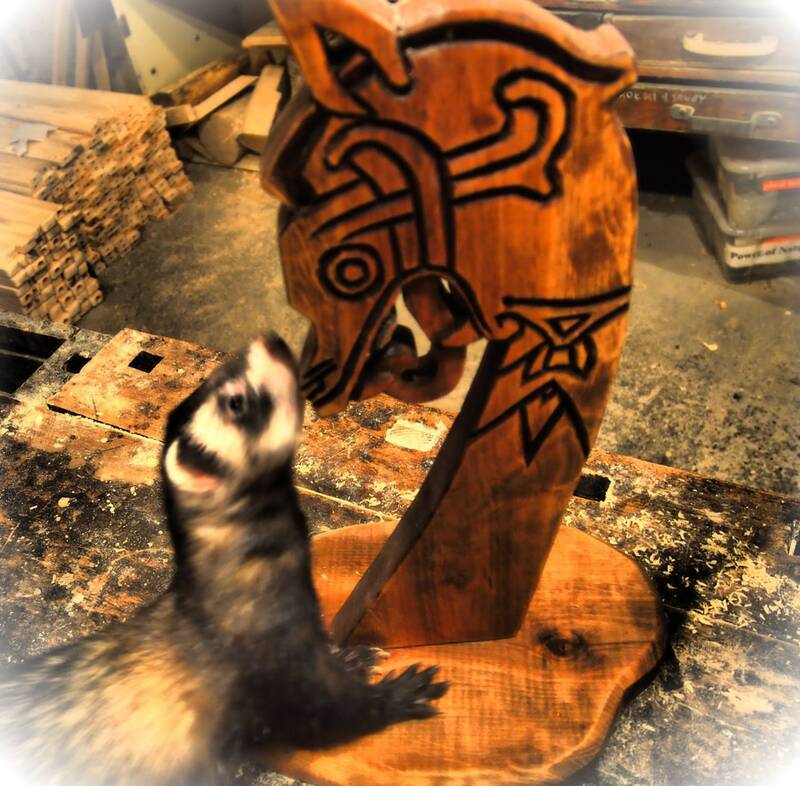 ATTENTION : Ferret is not included!!!! 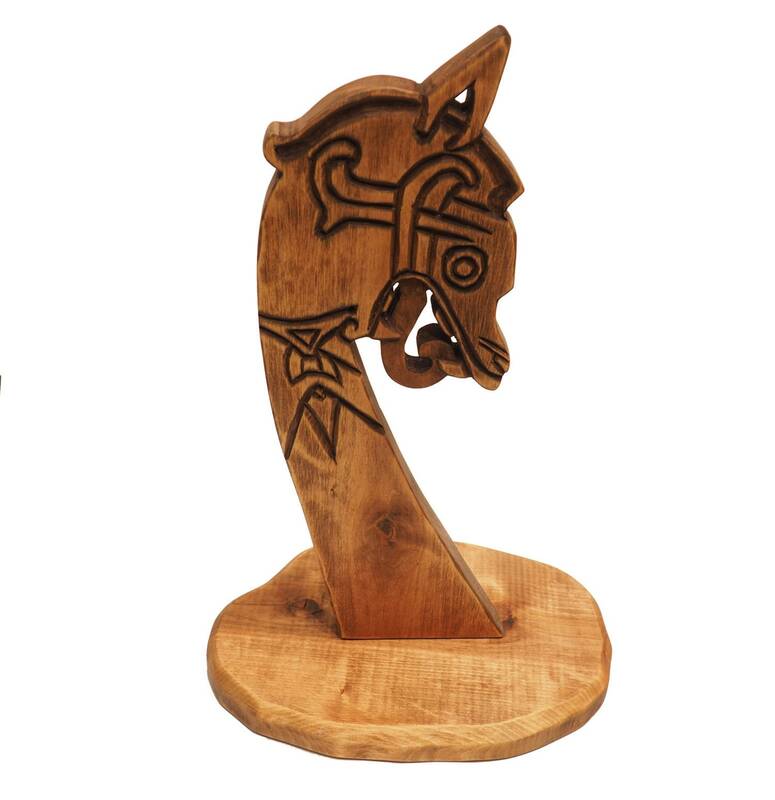 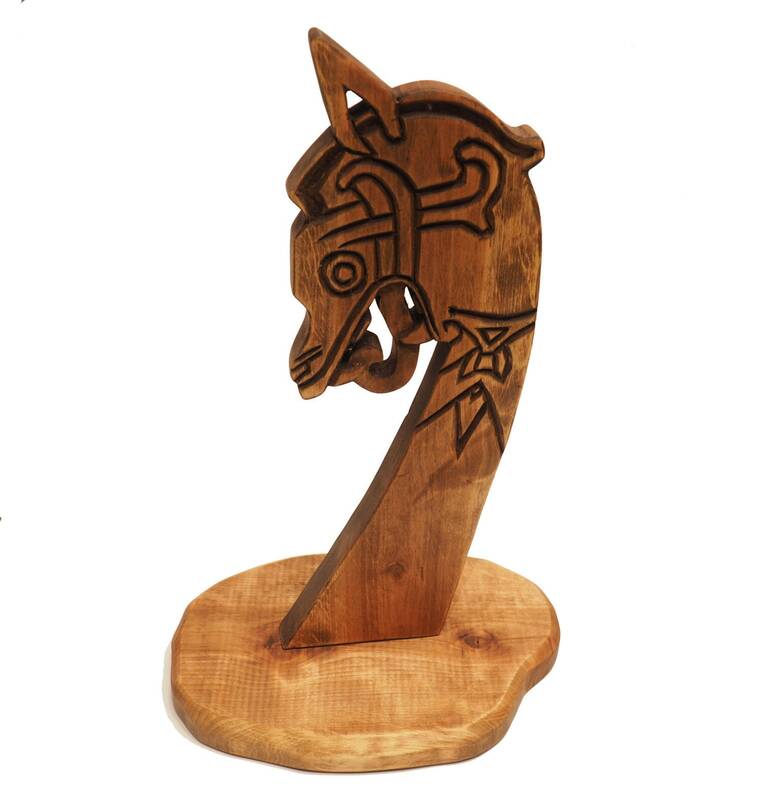 We can also make for you with smaller base or without it so you can use it as a wall decoration or top of the Viking tent plank.